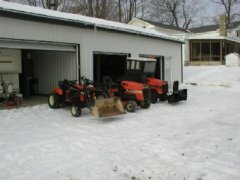 I am looking for a snowthrower for my 4040. I saw one listed for $675, not looking to spend that much. 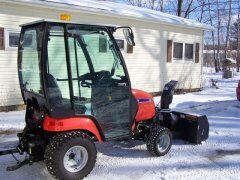 I currently have a 60" dozer blade/plow for snow removal and would like to explore the option of a snowthrower. I wasen't sure if the snowthrower is belt driven, I have the part number but couldn't find any more info. I have looked for pictures and havent seen any. Any help would be greatly appreciated.